Home » General Exercise » Tired of Waiting For The Pain To Go Away? The website above provides some excellent insight into how pain is generated as well as why we experience pain. It is a very user friendly tutorial about how a normal pain system should operate and what tends to go wrong with chronic pain. 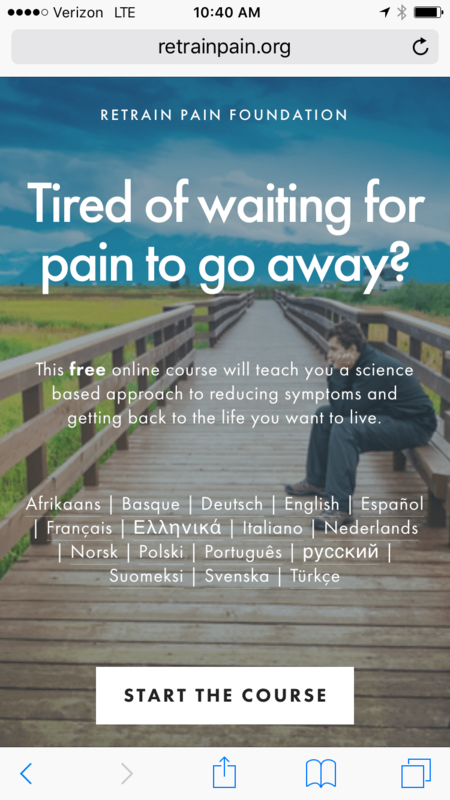 I highly recommend this as a patient resource and a very easy to follow 5 minute guide to describe the science behind pain. This is an awesome website/course! It will be very useful to patients. The more they understand the pain process, the less it will hurt! Thanks for sharing!